It’s no secret that college can be expensive. 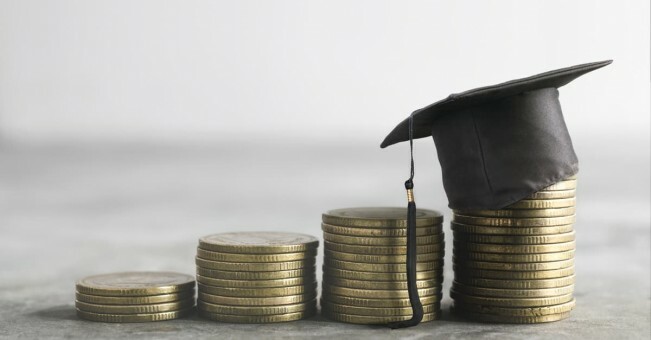 Applying for scholarships can help to lessen the impact of rising tuition costs, decrease the number of loans students need to take out for higher education, as well as an award for your hard work and merits. For one lucky student in the surrounding Georgia counties, The Eichholz Law Firm has an opportunity to help. Apply for “The Eichholz Law Firm Scholarship for Higher Education” from The Eichholz Law Firm, and you have the chance to be awarded $1,500 towards tuition costs for your college experience. The Eichholz Law Firm is a group of advocates for justice and social responsibility within our Georgia communities. We are devoted to delivering results, committed to our clients, and fostering a culture of collaboration and success in a positive work environment. Because of our dedication to helping our own local community in Georgia achieve their goals, we are awarding one lucky Georgia student “The Eichholz Law Firm Scholarship for Higher Education” to apply $1,500 towards their college tuition. Applicant must be enrolling or accepted in an accredited community college or university in Georgia. Applicant must have a minimum GPA of 2.5 unweighted. Applicant must be a high school student in the following Georgia counties: Chatham, Effingham, Bryan, Liberty. How will your study of (blank) contribute to your immediate or long-range career plans? Applicant must complete the application in its entirety before the scholarship deadline (to start in fall of the same year). Deadline May 1st, 2019. We are incredibly proud to offer this scholarship to a qualified student in our community with excellent academic and extracurricular activity this scholarship. The deadline for this scholarship is May 1st, 2019 so apply today! The Eichholz Law Firm’s selection committee will select the winner of the scholarship. The committee’s decision is final. Information provided by the applicant will only be utilized to make a determination regarding the scholarship. Any and all information will be deleted immediately after the selection period ends. None of the information provided will be sold to any third parties. Information including a photo and bio of the winner may be used for public relations purposes. The scholarship selection committee is committed to the principle of equal opportunity and is in no way influenced by race, gender, sexual preference, a nation of origin or any other criteria.